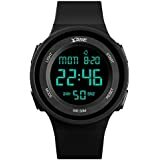 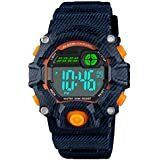 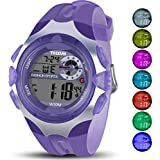 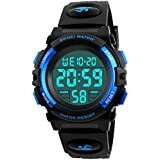 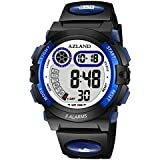 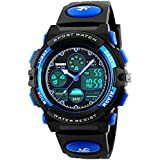 • Multi Functional Kids Digital Watch: Led Back Light, Chronograph, Stop Watch Timer, Alarm, These Functions Make This Boys Digital Watch Suitable For All Kinds Of Indoor And Outdoor Sports Use. 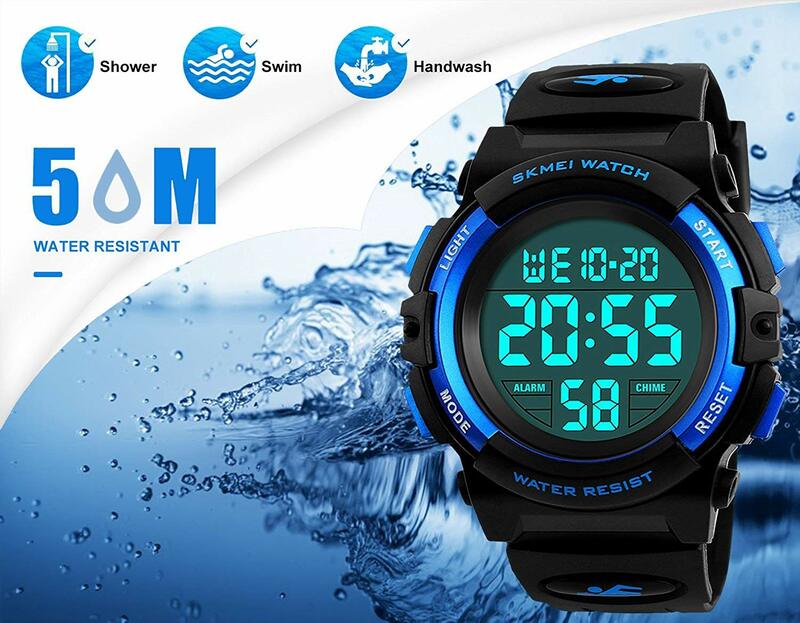 • Water Resistant Digital Watch For Boys: 5 Atm ( 164 Ft / 50m Waterproof ), Swimming, Surfing, Shower, Hands Washing, Raining All No Problem! 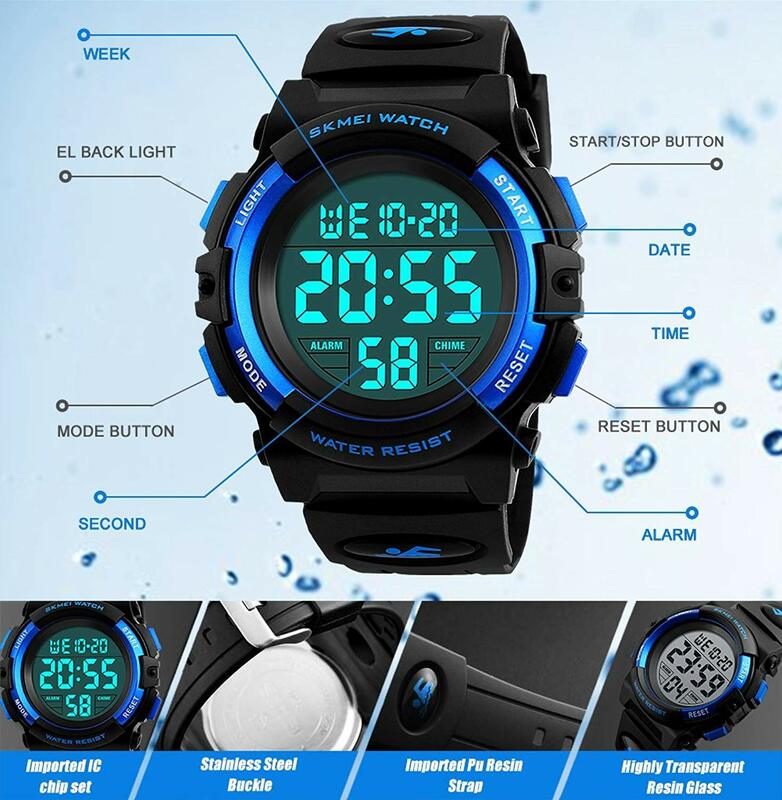 Note: Please Do Not Press Any Buttons Underwater. 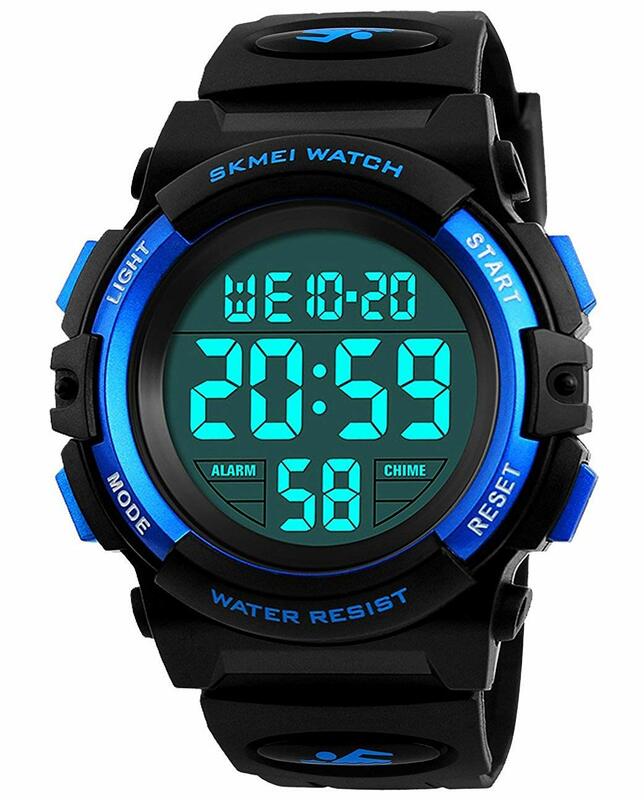 • High Quality Material Boys Watch: Original Japanese Digital Movement, Provide Precise And Accurate Time Keeping. 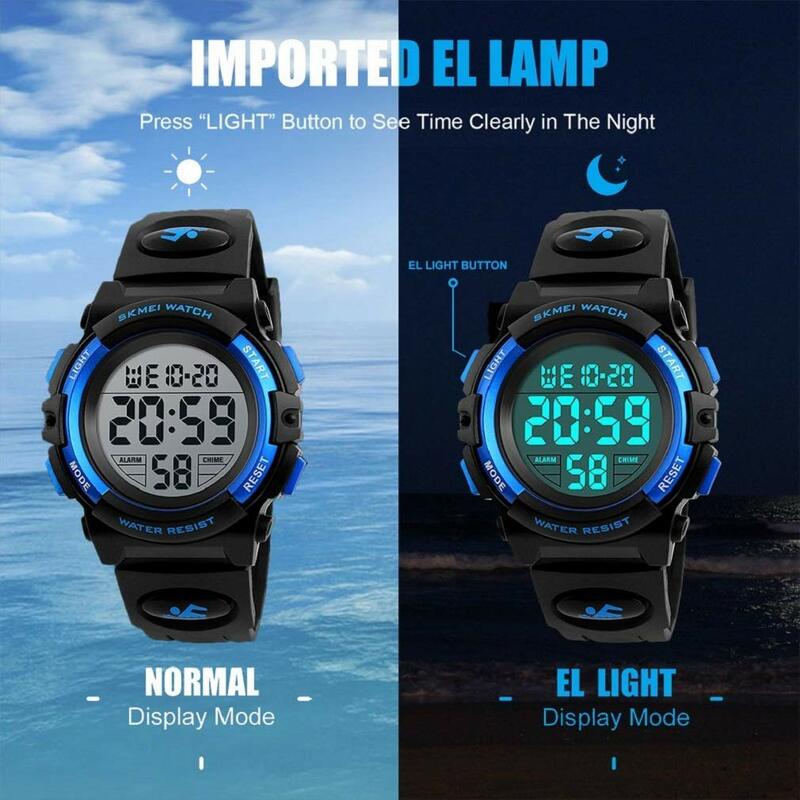 Bright Backlight Help You To Check The Time Anytime. 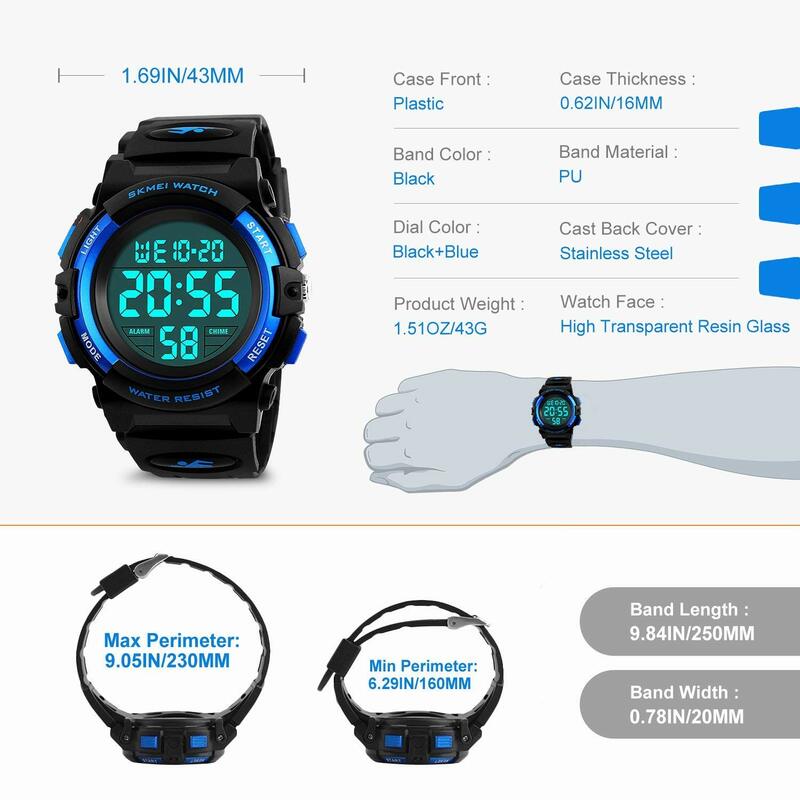 Hardness Resin Glass Protect You From Daily Light Scratch. 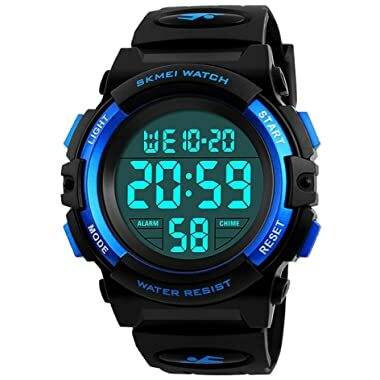 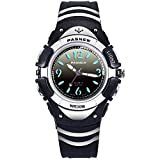 • Comfortable Sports Watch For Kids: Soft Black Silicone Rubber Strap And Durable Rubber Case, Stainless Steel Case Back Bring Comfortable Wearing Experience. 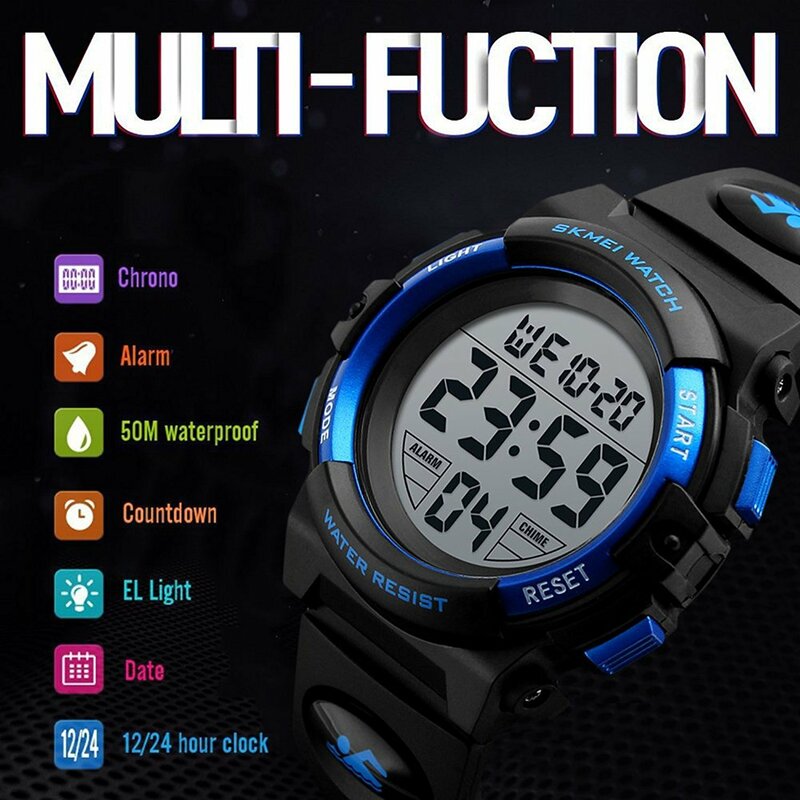 • Easy To Set Up: It Is Able To Operate The Digital Watch By Children Own. 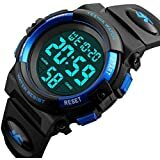 Nice Watch For Elementary Age Kids. 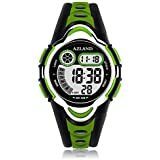 Kids Watch Designed For Boys And Girls 5-12 Years Old, Fashion Gifts For The Kids You Love.